You don’t really need to know a whole lot about cars to know what that means. 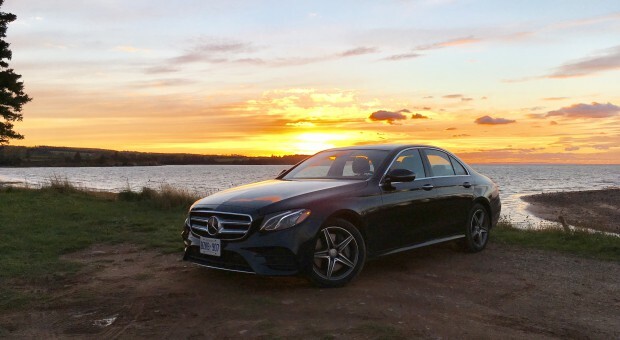 It’s the flashiest sedan from Mercedes-Benz. It’s the chauffeur of world politicians. It’s the ride of choice of the big bank CEOs that took and promptly lost all your money. Rappers refer to it constantly to reaffirm their I-have-more-money-than-you lyrics. 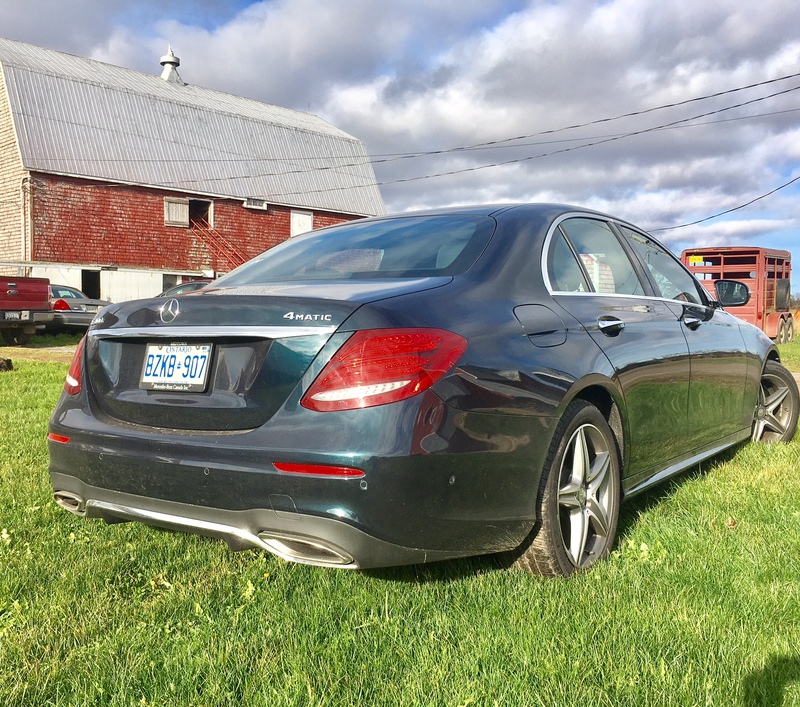 In addition to being what the automotive industry looks to for the next Star Trek-like piece of technology to be featured on a road car, the S-Class is also largely a status symbol. It is, indeed, the flagship of Mercedes-Benz. I’d make an argument that the S-Class’s little brother might be able to lay claim to the title as well. The E-Class, after all, has been a bit more daring with style. It was the first to wear the rounded quad headlights – the very same that Jaguar stole for its S-Type, and subsequently other manufacturers followed. It featured more prominently in rap videos of that 90’s than big shiny suits. Its AMG versions were akin to the cult following of BMW’s M5. Now into its fifth generation, does my argument still hold its salt? Mercedes’ new design language for its sedans is much more streamlined making it difficult to tell each sedan apart from the other. This could not be truer today. Many people asked if I was driving the new C-class for the week. It wasn’t until they looked closer that they saw that this sedan was bigger than a C.
But if you look even closer you’ll notice a few giveaways such as a unique grille, similar but different tail lights and turn signals along with two daytime running light strips which, in my opinion, seem to be a nod to the aforementioned round quad headlights. 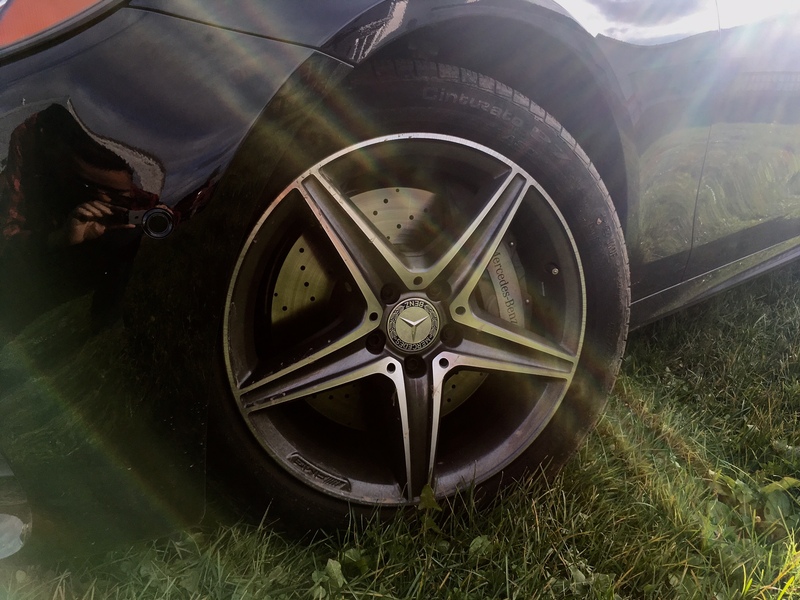 My tester also came with AMG inspired 18-inch wheels which looked great, but admittedly, seemed a bit small. But the real eye catcher was my tester’s Kallait green metallic paint, which successfully messed with everyone’s brain to the point where outright arguments erupted as to what the colour actually was. Some saw black, some saw blue and some saw green. It really depends on how the light hits the paint job, but it is a neat trick for sure. While I personally wish the E-class kept its more distinct design personality that it is famous for, the new E is a decidedly handsome vehicle. Being a Benz, there is a certain level of expectation once you plunk your rear end into the seat. And this new E does not disappoint. Most people were immediately drawn to the massive screen layout on the dash. It’s actually two screens but designed in such a way that it seems like one big long screen which spans from the driver’s side all the way to the centre of the dash. While the screen can be customizable, I found the default layout to be near perfect with the radio and navigation controls on one screen, and the fuel consumption and speed etc. on the other. The quality of the font and pictures is spot on and the response time is near perfect. No lag, no fuss. It just does what you want it to do on the first try. This car is very technically advanced but they E’s party trick actually comes to life when you drive, which I’ll get to in a moment. For the interior though, you can customize the ambient colours. Quality matches this car’s price point and I particularly liked the painted wood trim which also spans across the entire dash. The seats are adjustable to almost any taste and offer a good balance of firmness and comfort. Rear seat comfort is similar in the back and there is a good amount of space for all your limbs. Overall a well-executed, quality interior that shouldn’t make you regret spending your hard earned cash. 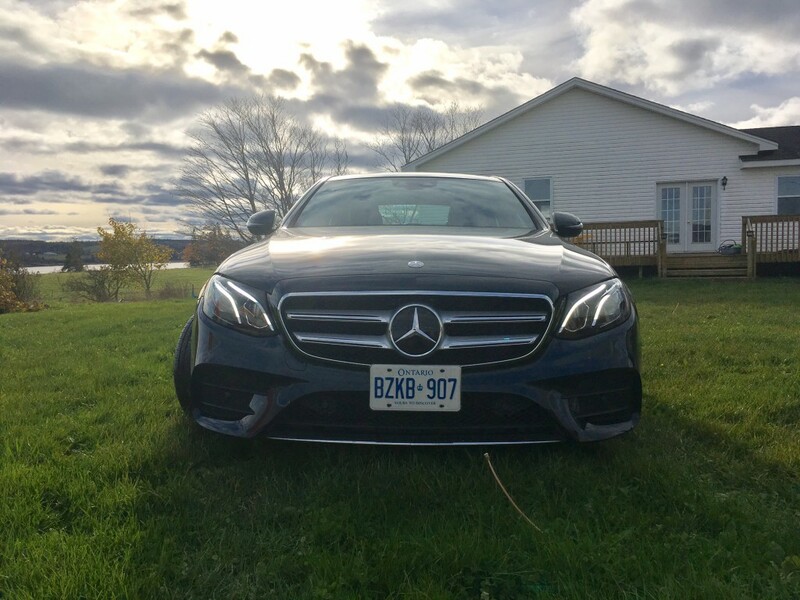 Currently, in sedan form, the new E-class is only sold in E300 trim which means there’s only one engine to choose from; a 2.0 litre turbocharged inline 4-cylinder which is good for 241 horsepower and 273 pound feet of torque married to a 9-speed automatic. If those numbers don’t get your blood pumping, stay tuned because more engine options will be available in the near future. Truthfully, you shouldn’t judge this engine based on its size or power figures because it is absolutely sublime. Not only does it churn out power both effectively and efficiently, but it is quiet and refined. And there’s no clattery noise coming from the engine bay at idle either. There’s enough juice to get you off the line in short order, and enough torque to get you past those nervous ninnies on the highway. I don’t mean to make it seem as if this is by any means as thrilling as a V8 or a 6 cylinder – the 4 cylinder certainly lacks that sort of gusto – but I just mean to convey that it’s good enough to not make me miss either of those engines. For everyday use, this is the engine you want. Now, the E300 can be selected into different driving modes which should appease most driving styles. Throw it into sport mode (there’s also Sport+ but really all that does is cut the engine start/stop feature) and you’ll receive enough steering feedback and surefootedness around the corners to satisfy those urges when your testosterone levels become particularly high. Is it like driving an AMG? Of course not. It’s adequate – perhaps even more than – for those who wish to have some fun every now and then. 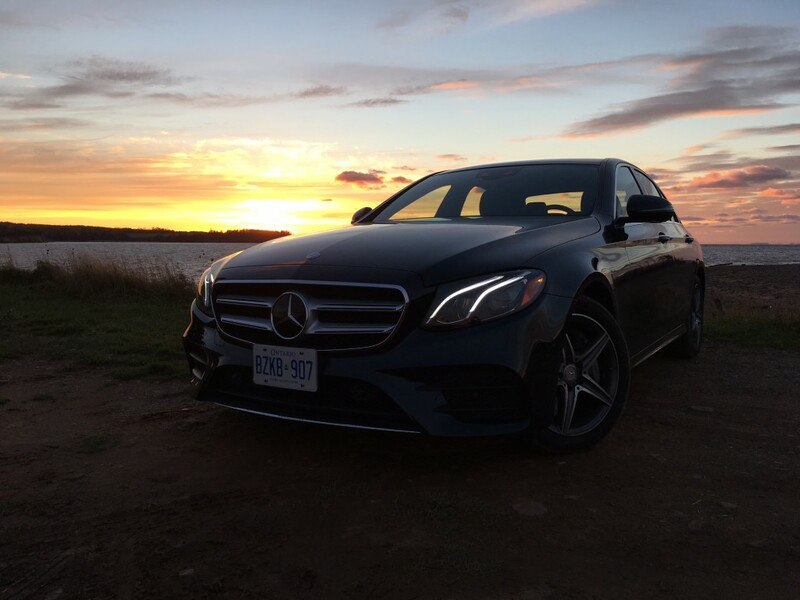 But that is not, and never has been, the main reason for being of the E-Class. It’s meant to convey a luxury experience like no other. This is why you should probably just leave it in Comfort mode because you’ll reap more benefits such as a supremely comfortable ride. You won’t be feeling many imperfections in the road. But if you wish you experience true luxury, you need to turn on Drive Pilot. 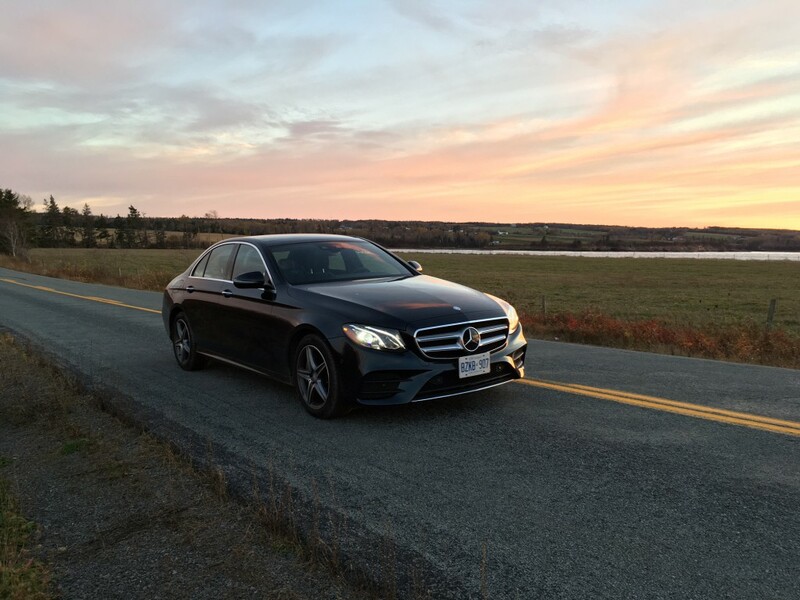 This feature essentially gives the E-Class near autonomous driving. 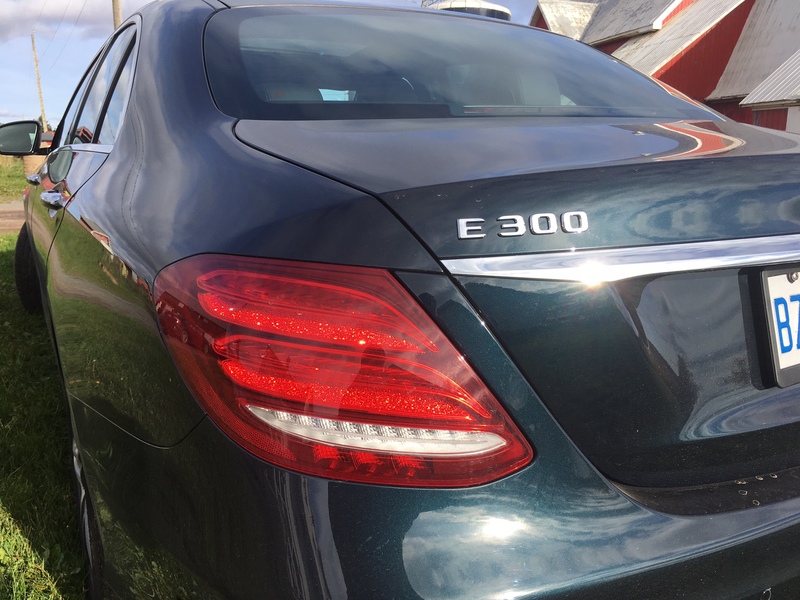 Once engaged, the E300 will not only maintain your speed, and adjust accordingly to traffic conditions, but it will keep itself in line, brake and come to a complete stop if necessary. If you do end up coming to a complete stop, it will get moving again on its own once traffic starts moving. It will even change lanes for you. All you need to do is put on the turn indicator. It will then scan to make sure it is safe to change lanes and if it is, you will be guided into the next lane. It really is quite phenomenal that this sort of technology is available on road cars today. I must admit, at first, it’s rather off-putting. You’re essentially putting your life – and other lives – in the hands of a car. Unless you’re driving Herbie the Love Bug, it’s difficult to get past that mindset. With that being said, I took advantage of this feature during an hour long highway drive to meet my girlfriend. It allowed me to take my hands and eyes off the road to open my bottle of water, and to open my bag of cashews. I was able to snack away without paying much attention. 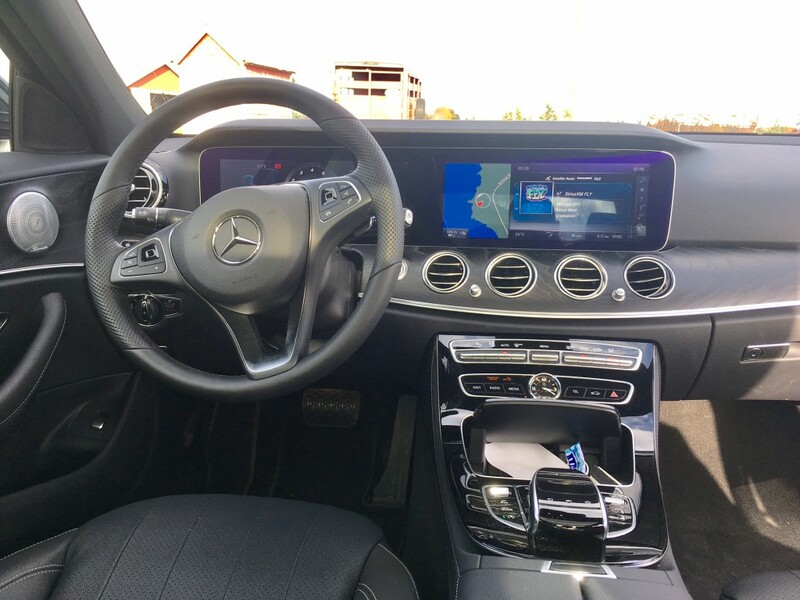 It should be noted that every 15 seconds or so, the E-Class required you place your hands on the wheel to make sure you are indeed still conscious. If you do not, it will start to chime at you. If you still do not respond, it will then pull over safely to the side of the road and turn itself off. 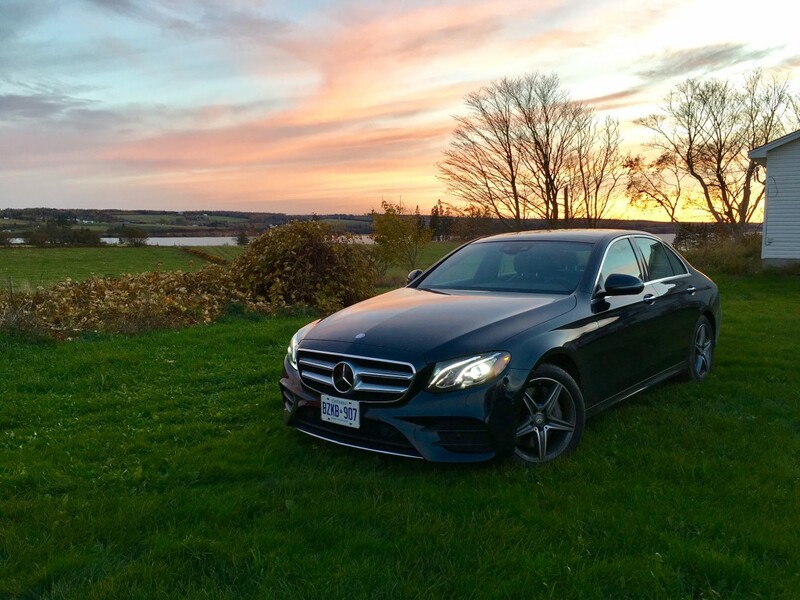 Likewise, the E300 will turn itself off when it comes to a complete stop (again, depending on which driving mode you are in). This is done without much drama with the goal of saving you some gas. At the end of my week of driving, I was able to return 8.8 L/100 kms in mixed driving. Not bad for a 4,000 pound sedan with a small engine. Official numbers are 10.8 L/100 kms city and 8.1 L/100 kms highway. And this is where my argument really comes into play. Here we have a big sedan that looks good, is luxurious inside, is good on gas, can be fun to drive, or completely comfortable, and filled with the latest tech such as semi-autonomous driving. Why exactly would you spend the extra dough on an S-class again? 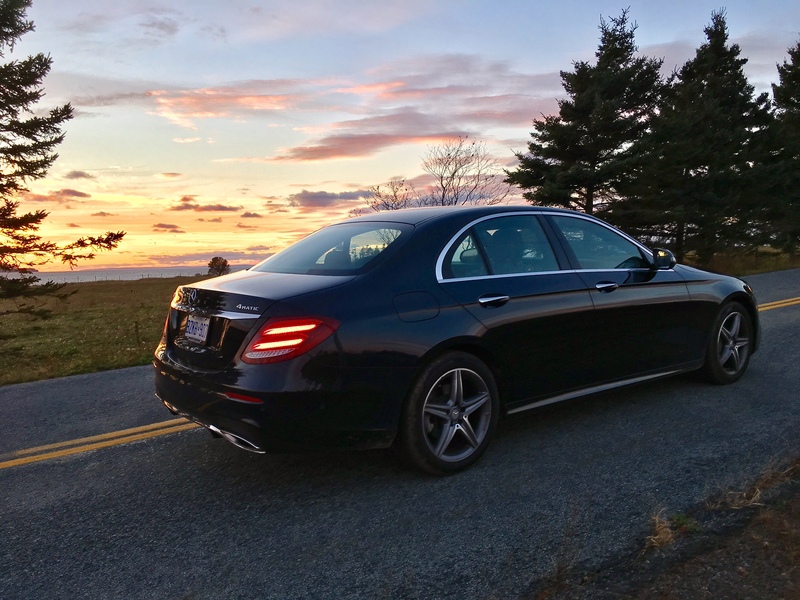 Yes, I’m sure there may be plenty of reasons, but truthfully, you get the same coveted Benz experience in the E-Class. And that’s really what a flagship vehicle is all about. Having driven the A6 from Audi and the 5-series from BMW, I can safely say that, were I in the market, the E would likely get my nod. Tech tech tech… semi-autonomous driving is here!